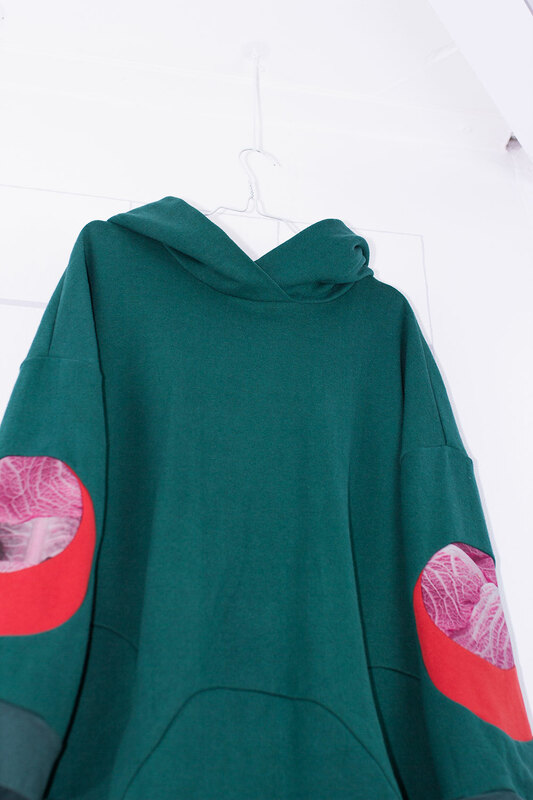 Extra long hoodie with pockets in the front and egg-shaped details on the sleeves. 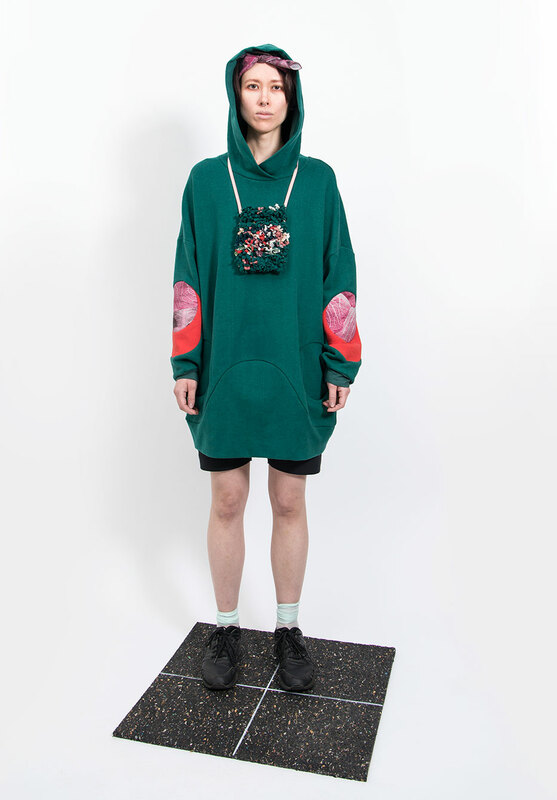 Soft sweater-fabric with plushy inside in 60% hemp and 40% organic cotton from Hempage. Hood-lining and cuffs are 70% hemp and 30% organic cotton, also from Hempage. The detailing are in organic cotton from Lebenskleidung and Textilfab. The thread is natural Lyocell as well as polyester. 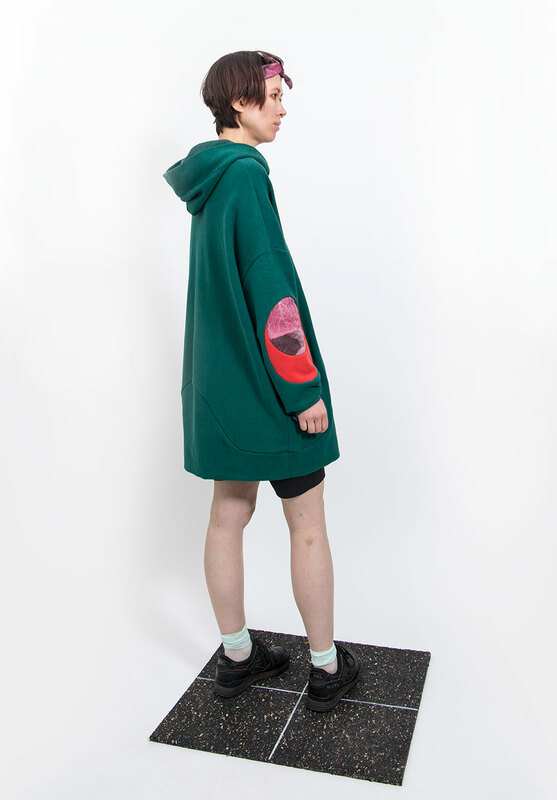 This hoodie is designed to be oversize, it has a comfy, lined hood and pockets with round openings. It is slightly egg-shaped and a bit longer in the back than front. Dax is 166cm tall and wears a size 2.